The BAS industry has changed rapidly in the last 5 years. The main improvements have been on connectivity between protocols and the information transfer to the internet (wan). The connectivity between protocols increased the importance of graphical user interface to the customers since the protocol wars diminished drastically. Today’s graphical user interfaces are more user friendly due to advances in bas applications, the improvements on internet web standards, standard monitor resolutions, and compression technologies in images. • Uses compressed images such as jpg, png and gif. Advanced image formats like png can be utilized for alpha channels and transparency. Internet speeds are 500 times faster on broadband then dial up technology. • Monitor resolutions increased thus allowing pages to contain more data. Common resolution has increased to 1024 px by 800 px. 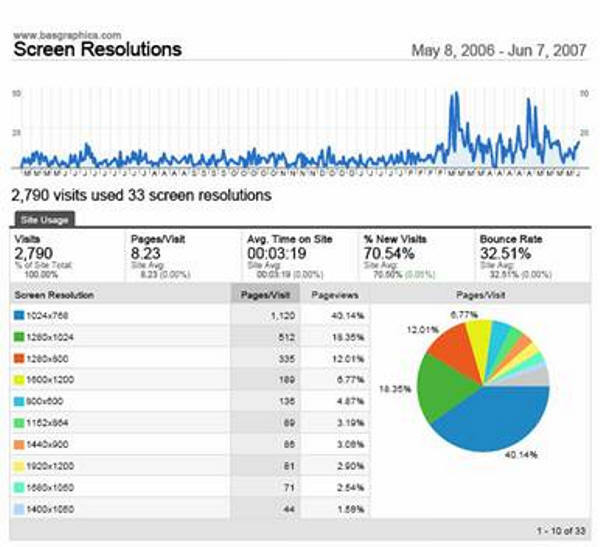 Google analytics of http://www.basgraphics.com indicating screen resolutions. • By the new advances in programming libraries, GUI’s became more and more internet available. Broad support of commonly used image formats such as jpg, gif and png increased the download speeds and created intuitive front ends. Ability to use layers in BAS front end frameworks has been a substantial improvement to the GUI. • Floor plans can be easily created with layers with the supplement of dwg files. 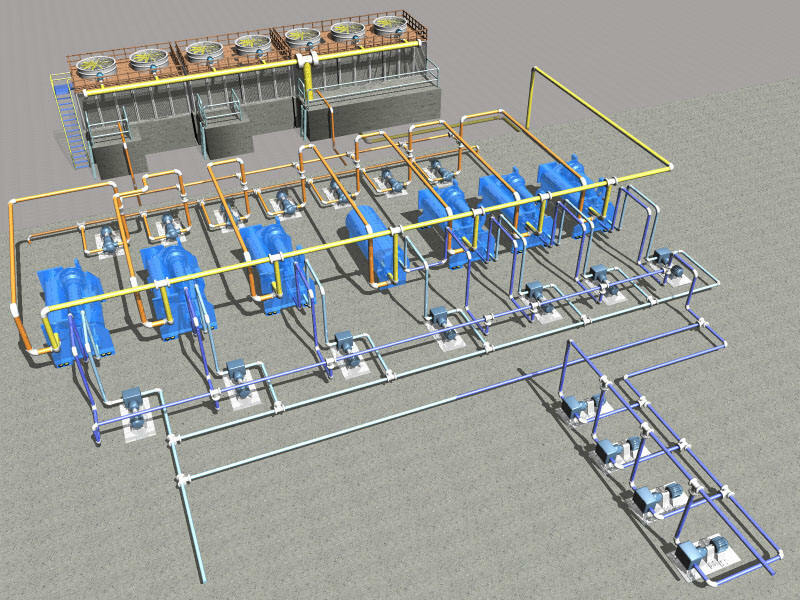 It is more common that architects and mechanical engineers supplement 2D media format to the automation contractors. • Screen resolutions and internet speeds will drastically increase. • Architects and mechanical engineers will be able to supply 3D information of the building which can be used for 3D representation on front ends (10-15 years). Here are couple examples that are the seeds of 3D on the web. • Usage of more web 2.0 libraries will increase the intuitive creation of graphical user interfaces. Example of a library from Mootols can be found here. 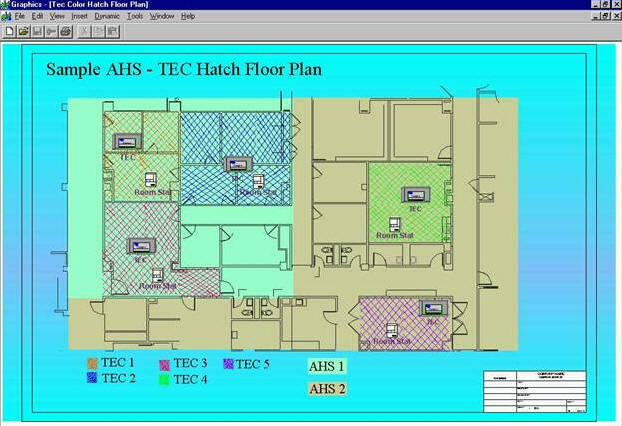 A. Unorganized and scattered and misuse of navigations or not being able to implement navigation to the gui. B. Crowded screens with text and data. Some GUI implementations of pages are really difficult to navigate. There is structure to the site’s equipment data. This can cause a lot of time loss to the customer. It would also frustrate the front end user. 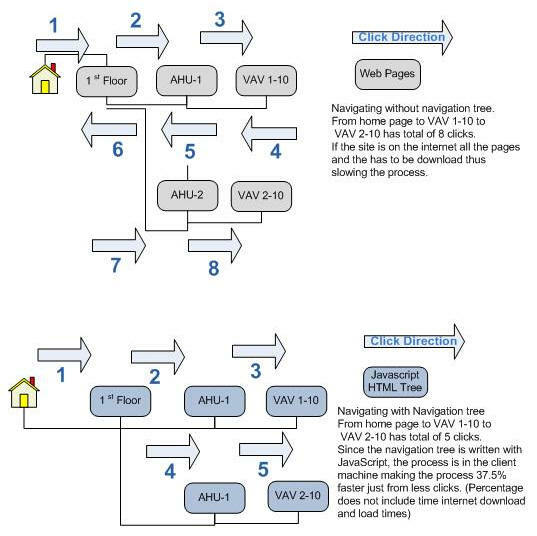 Implementing tree navigation to BAS systems can decrease the click rates thus allowing customers to access data easily. • Implement HTML navigation if possible. • Be consistent throughout the site or sites. 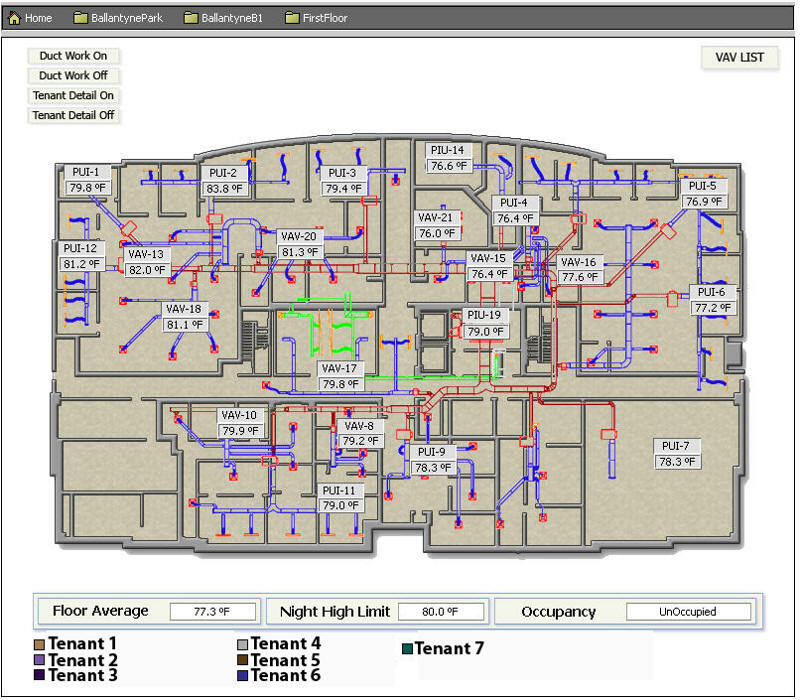 With today’s technology floor plans can show more than wall layouts. 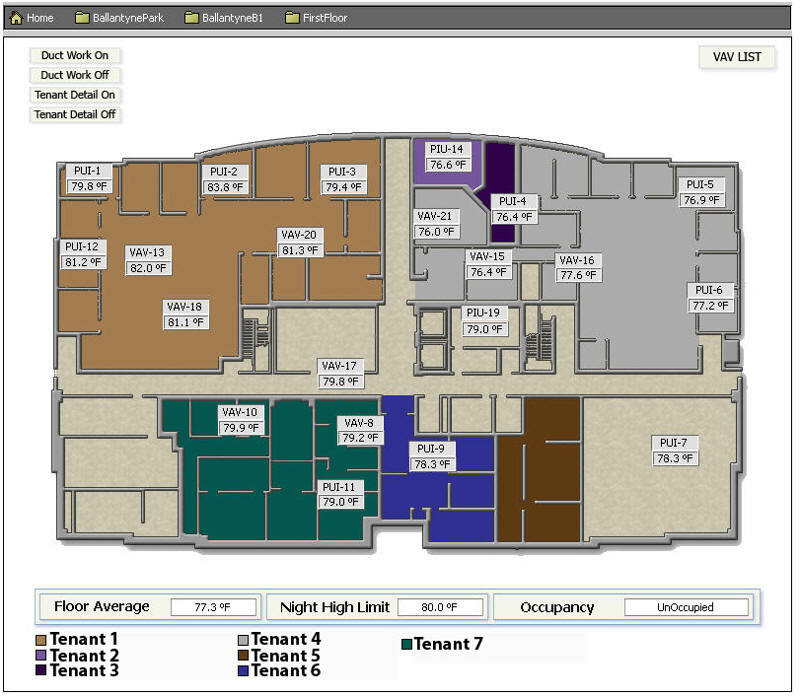 Common usage of floor plans today is showing floor plans and approximation of the units located on that floor plan with zones. With the help of 3D applications, we can easily create screens that are easy to perceive and take action that is necessary. 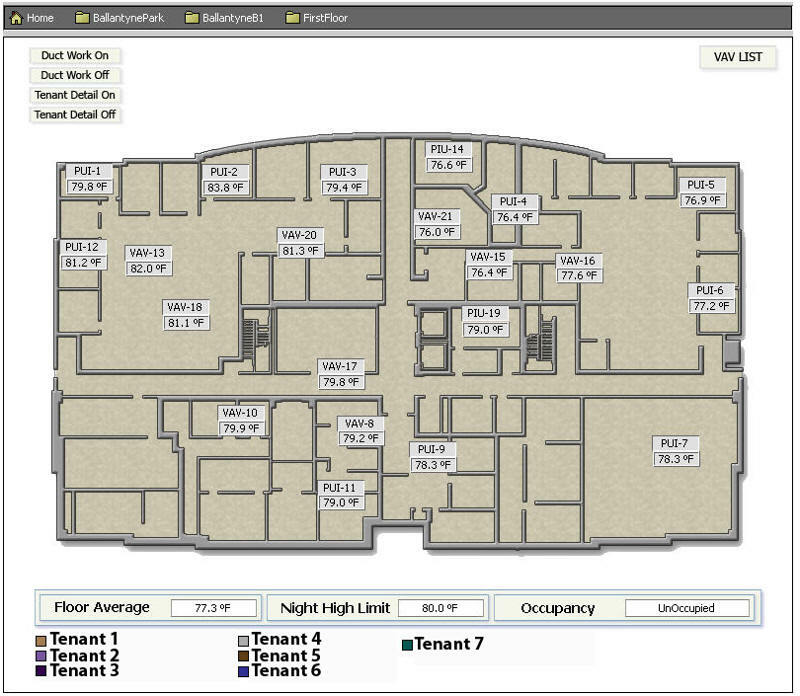 From the same screen, front end users can see the status of all equipment and alarms in 3D. 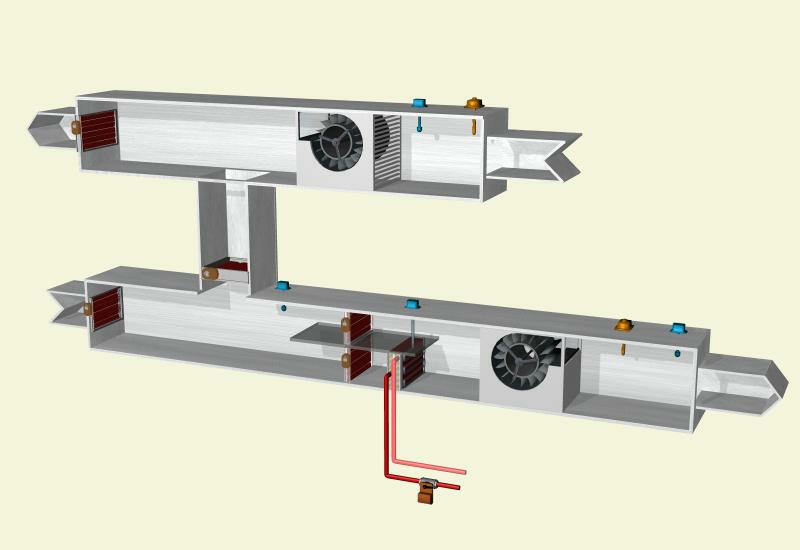 Here is an example of an air handling unit. About the author: The creator of BAS graphics, Alper has been working in the industry for 8 years. He has worked with Alerton, Andover, Tridium, Honeywell front-ends. His passion in the industry is integration and graphics.